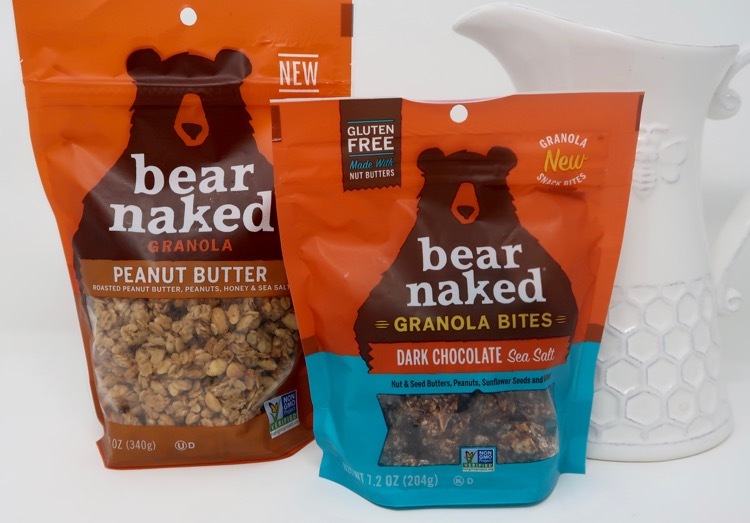 I love when Target offers Cartwheel offers on some of my favorite brands, I love it even more when they are high value Cartwheel offers, like on the following Bear Naked granola items. 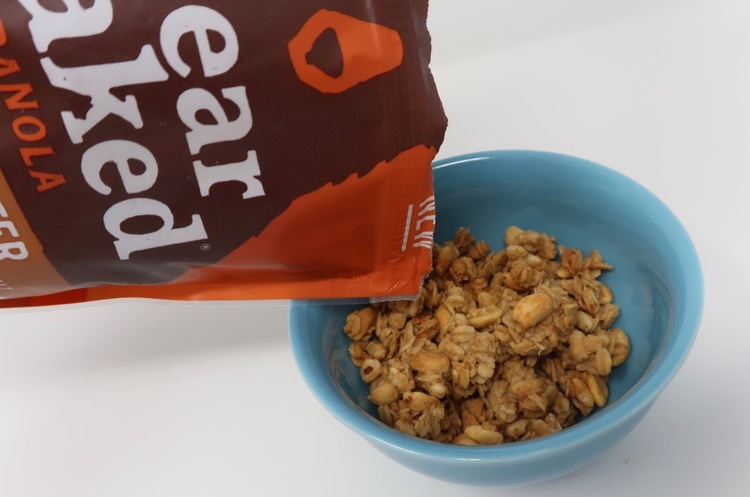 This week you can save 40% on select Bear Naked granola items. 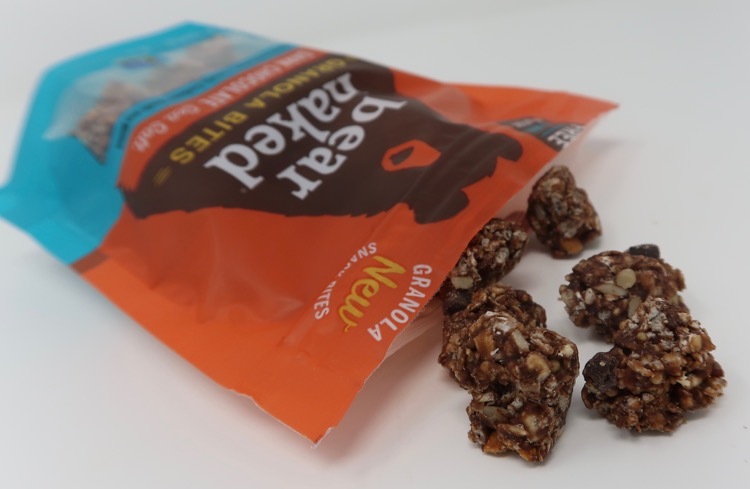 Bear Naked makes yummy breakfast and snack items that are Non-GMO Project verified. 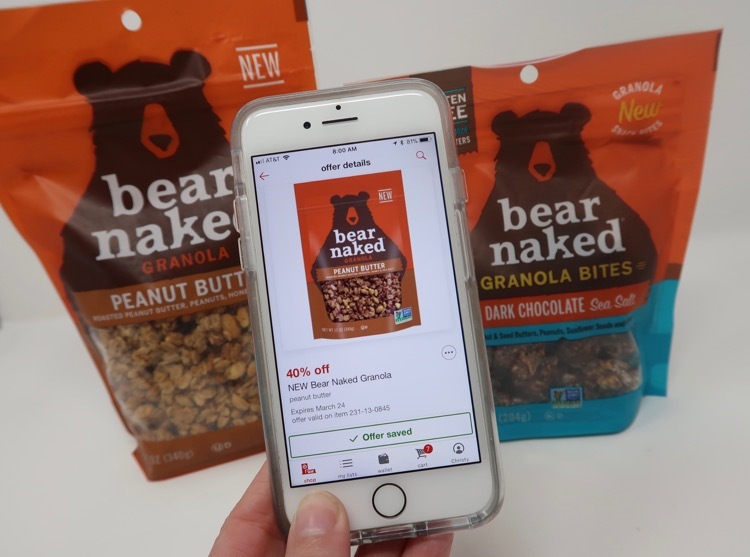 You can save 40% on Bear Naked Granola Bites with the high value Cartwheel offer that is valid through 3/24/18. This makes the Bear Naked Granola Bites only $2.39 a package. I love that the Bear Naked Granola Bites are perfect for on-the-go. I’ve tried the Dark Chocolate Sea Salt and they are yummy. They are filled with Fair Trade dark chocolate chunks and they are also made with Nut Butters, so they are gluten free. You can also save 40% on the new Bear Naked Granola in Peanut Butter. In addition to eating the Bear Naked Peanut Butter Granola with milk, it makes a great topping on fruit, yogurt or even ice cream. This too can be picked up for only $2.39 a bag. 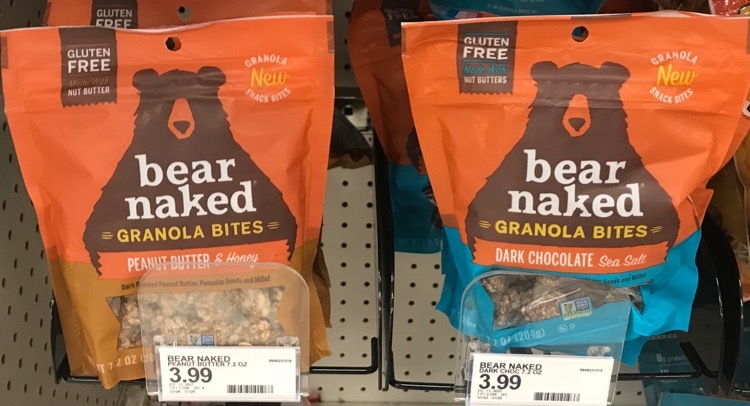 Stop by Target to take advantage of the high value 40% off Cartwheel offer and both the Bear Naked Granola Bites and the Bear Naked Peanut Butter Granola. Both Cartwheel offers expire on 3/24/18.